Alexandra (Ali) began her career as a King County prosecutor, serving the public first as a Rule 9 Intern while in law school, and then as a Deputy Prosecuting Attorney in District Court, Juvenile Court, Juvenile Treatment Court, and Mental Health Court, where she gained trial advocacy skills, supervisory experience, and expertise in working with offenders suffering from mental illness. She ended her tenure with the King County Prosecuting Attorney's Office in the Civil Involuntary Treatment Unit, working with area psychiatric hospitals and the county designated mental health professionals in a trial-heavy, time-pressured practice to seek treatment for people who had become a danger to themselves or others due to their severe mental illness. Ali decided to join Holman Cahill in 2012 to be able to engage directly with clients, rather than serving the public at large. Her practice includes estate planning, family law, adoption, mental health law, and probate. 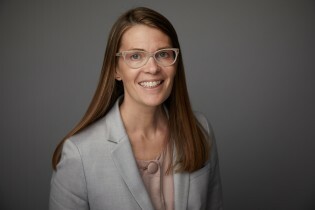 Uniquely qualified as a trial attorney who also has extensive experience in collaborative practice settings, Ali offers strong advocacy as well as compassionate counsel to her clients. With estate planning, Ali loves to work with clients to create an estate plan that meets their individual needs and the needs of their loved ones. Considering how to plan for one's family in the event of a tragedy or the end of one's life can be an emotional process. Ali leads clients through this process with practical advice and caring concern, to be sure clients leave the legacy they desire. As a family law attorney, Ali expertly advocates for her clients with clarity and empathy through what are often very unsettling life circumstances. Using a collaborative practice model, Ali provides her clients with the knowledge regarding process options they need to make informed choices about their divorce or other family law matter. In the area of adoption law, Ali works with adoptive parents, agencies, birth parents, and stepparents to pursue permanent adoptive placements for children. Clients will gain strength and direction in facing their legal matters with Ali’s representation. Ali is dedicated to meeting clients’ needs, and helping move them forward in their varied legal issues – from drafting pre/postnuptial agreements, to handling a deceased family member's probate, to the adoption of a child. Her areas of practice intersect and overlap to provide Ali with a very rewarding legal practice. Ali greatly enjoys serving on the Advisory Committee for the Open Door Legal Services, where she helps provide legal services to homeless and low-income people in the Seattle area. Ali and her husband, Chris, have three daughters and they enjoy reading, playing (and watching) soccer, skiing, and biking together as a family.